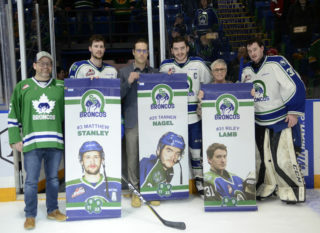 A pivotal Game 5 was played on Friday night at the Innovation Credit Union i-Plex and the Swift Current Broncos put on a show as they responded with a 5-2 victory to grab a 3-2 series lead in their best-of-seven set against the Regina Pats. 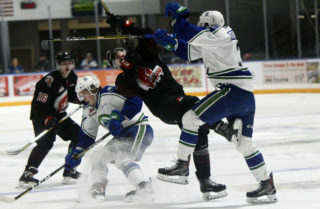 The first period saw all three goals come on the power play with Swift Current posting two of the three scored. Regina Pats forward Nick Henry would get the visiting club on the board as a broken down play led to a power play goal. Sam Steel took the initial shot and the puck bounced around in front of the Broncos crease until Henry put it in. From there on out, it was all Broncos. Arizona Coyotes prospect Tyler Steenbergen scored his third of the postseason on a play similar to the Pats first goal. On a Swift Current power play, Colby Sissons took a shot from the point that was blocked but a bouncing puck got to the tape of Steenbergen and he ripped it to the back of the twine. 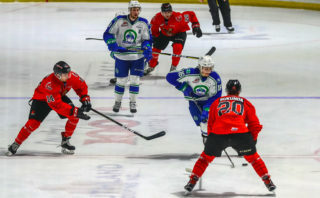 Glenn Gawdin then gave the Broncos a one-goal lead when the captain slapped home a one-timer by the blocker side of Ryan Kubic from the left faceoff dot. Steenbergen completed the pass to Gawdin while Aleksi Heponiemi tallied his second helper of the frame. 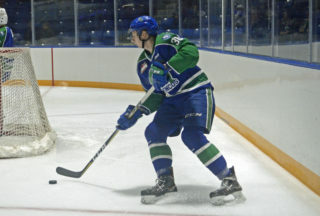 Swift Current again clicked for another goal on the man advantage 2:40 into the second period courtesy of Steenbergen. The Sylvan Lake, AB product scooped up the puck out of a crowd in the Pats crease, skated back for open space and wristed it by Kubic to give his team a 3-1 advantage. Broncos blue liner Sahvan Khaira joined the fun as he let go a low snap shot from the point through traffic and by the low pad of Kubic to make it 4-1. The Broncos top line continued to pile on the stat sheet when Gawdin completed a long pass to Steenbergen for a breakaway chance. Steenbergen would make use of his opportunity and netted his third of the night for his first career WHL postseason hat trick. Regina got one back on an early man advantage in the third period. Henry was credited for his second goal of the game after line mate Cameron Hebig’s shot went off Henry and deflected by Skinner. Skinner was magnificent in Game 5 as the Edmonton Oilers prospect collected 40 saves in the victory. Shots on goal favoured Regina 42-33. 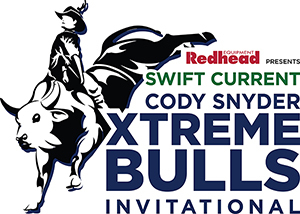 Swift Current’s power play was electric, going 3/7 while Regina went 2/4. 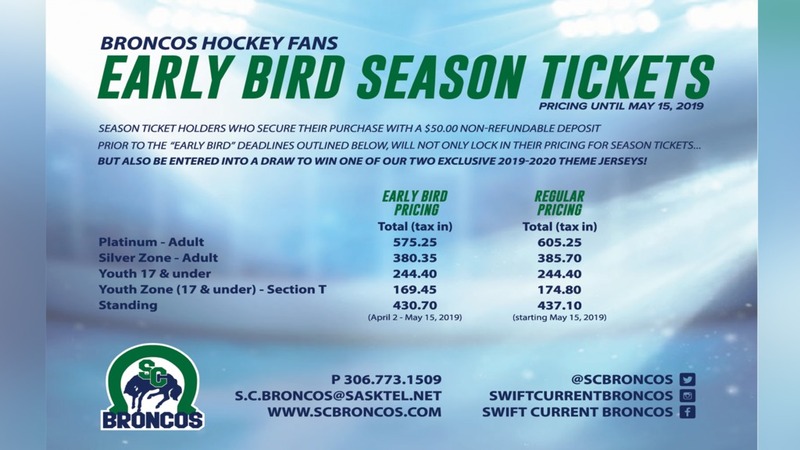 The Swift Current Broncos will have an opportunity to close the series out on Saturday, March 31st when they travel to the Brandt Centre for Game 6. Puck drop is slated for 7:00pm MT.